Bloggers are needed for the Nate Rocks the City Book Blast & Tour. 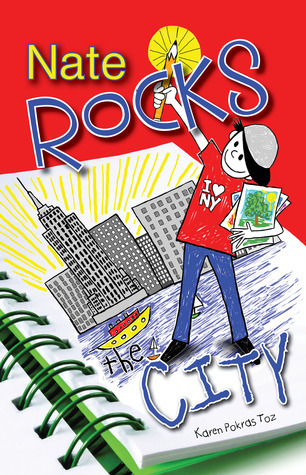 Nate Rocks the City is the last book in Karen Pokras Toz's children's series Nate Rocks. Sign up below for the Book Blast on March 10 and for a tour date, March 11 - 21. You are welcome to sign up for both, but space is limited on the tour. Nate Rocks the City Book Blast and Tour is a GWR Publicity promotional event paid for by the author.